In the 21st Century the decor of our abodes have become important outlets of self expression and personality. Affordable brands like IKEA have meant that we can inject bright and bold personality for much less than ever before. Being vibrant has become popular and the word "magnolia" has simultaneously become the least fashionable word in a designers vocabulary. However, even though some people may shrug off neutral colour schemes as boring and predictable, your interior designer will tell you that they are highly valuable, if not essential, when decorating. Longevity: Neutrals ensure you get long-lasting benefits when you decorate your home. Natural tones don't date as quickly as bright colours or wallpapers, and you won't get sick of them as fast either. Versatility: A neutral palette for the walls and floor can work with most styles: be it contemporary, eclectic, French etc. 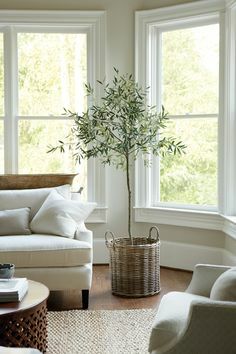 Neutral surroundings are great for letting textures (woodwork etc) and beautiful furniture shine. White is especially good for showing off clean lines and art pieces. "When creating a natural, neutral palette, I would recommend to either choose between grey and off-white/white tones or cream and ivory tones. Choosing the two pallets together can look off if not applied correctly. 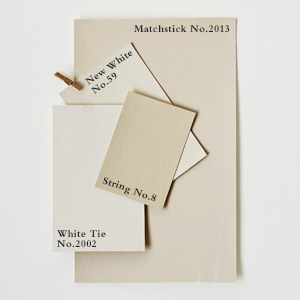 If there is a particular 'must have' fabric you like, you can begin by choosing paint colours that work with that. On the other hand, if there is a specific grey tinted or cream tinted paint you simply must have you can opt to base the furnishing scheme and window dressings around that. Another factor to consider is which tints and shades of your neutral base to apply- look first at which way your room is facing and how light affects the colour of your walls. For example, a North-facing will need a warmer. 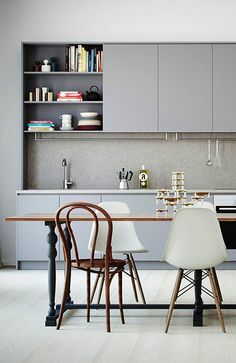 earthier grey as a cool grey will make it appear and feel colder. 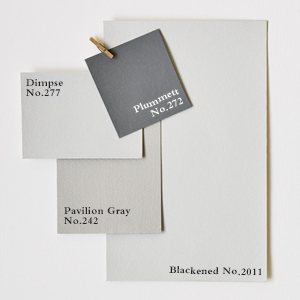 Farrow & Ball give great advice when choosing a neutral paint scheme. We have provided a gallery of some of their ideas below, and you can find more on their page here.